Africa on the Square returns to Trafalgar Square for the fourth time on Saturday 27 October. The celebration, is for Londoners and visitors of all ages to sample a wide variety of music and food, entertainment and activities inspired by the African continent. This year it is also a key part of the Mayor’s Black History Month celebrations. 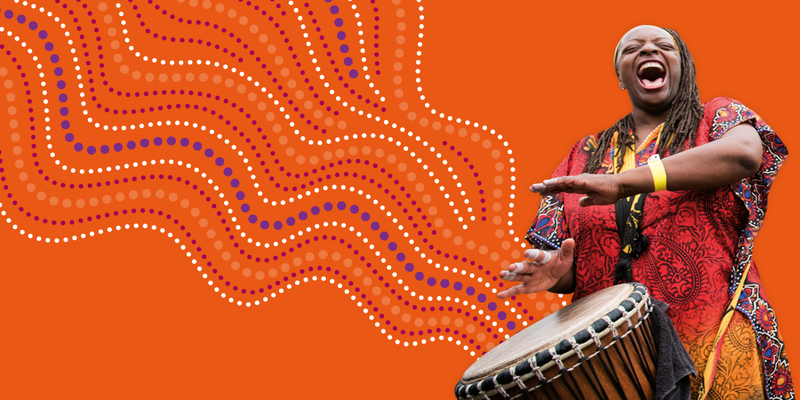 Some highlights: Pioneering Kora virtuoso #SonaJobarteh will headline and the all-women Yeye Drummers will bring their captivating rhythms. Other main acts will include Ethiopian-Dutch singer Minyeshu, beats by Beeogo Yinga (Burkina Faso), African dance music from Kodjovi Kush & Afrospot All Stars (Togo) and the vocal talents of Namvula (Zambia). This popular event continues to grow with over 25,000 attending last year. It celebrates African arts and culture, as well as enhancing Black History Month. We’ll be hosting a stage with live entertainment in addition to an African market, food stalls, roaming entertainment and lots of fun stuff for kids, showcasing communities from across the continent.